The process of Australian Citizenship Application is not an easy process but with having a good consultant and advisor you can easily approve your application. There are various types of cultural diversity you will find in Australia as there various outsiders who came from different countries of the world. You can see a large portion of the population is covered by the outsiders from Australia. If you got the citizenship of Australia then you are going to have a large number of benefits within the country. There are many people in Australia who do not have the citizenship but are living over there for a long a duration of time an easily apply for the citizenship of Australia. People outside the country can also apply for Australian Citizenship on the basis of several rules and regulations. There is particularly a process which involves a check on various aspects of a person such as a language and character and this process also involves the approval of the citizenship from the Government Department of Migration. Although! Sometimes the application gets refused due to various reasons and you are not able to judge the reasons. You must know about them so that you cannot do the same mistake while applying for Australian Citizenship! HOW IDENTITY CHECK AFFECTS THE AUSTRALIAN CITIZENSHIP VISA REFUSAL? The process includes the verification of all your identity documents with the actual identity of the applicant. The analyzers evaluate the entire document including the address verification and all other formalities. This is the reason why most of the refusals have the reason of identity failure that most applicants are not able to verify their identity. So it becomes essential to provide the appropriate documents in accordance with the attested with standard authority in addition to the identity declaration statement. HOW MUCH TEST CLEARANCE AFFECTS THE VISA CANCELLATION? While going through the process of the Australian Citizenship Application, you are indulged in qualifying the test for the approval. It includes various tests such as communication test, skills test, and qualification test and so on. You must have to secure the qualifying marks for the approval of the application that you are a valid candidate for citizenship. There must be a strong purpose for which you can apply for the citizenship of Australia. If you agree and sometimes disagrees with the decision of the citizenship. And if you did not found interested in the participating in the process of the application approval, then the audit manager will surely recognize the reason for refusing the application of Australian Citizenship. You must not involve in any of the criminal offences if you are applying or applied for Australian Citizenship. While living in Australia, you must take care that you should not indulge in any of the violation of rules of either road safety or any other civil offences. You apply for the application even after your application is rejected and the duration between two consecutive application is so less. Then there is a high possibility of the refusal of the application in this case. So it is better to take of the duration before you reapply for the Australian Visa Process. You needed to know this!!! Whenever you apply for Australian Citizenship Application, you need to follow all the rules and regulations. In case, you violate any of the rules, then you will face the scenario of Application refusal. If you find that the reason for the application refusal is not valid then you can also claim for the reason for which your application has been cancelled. 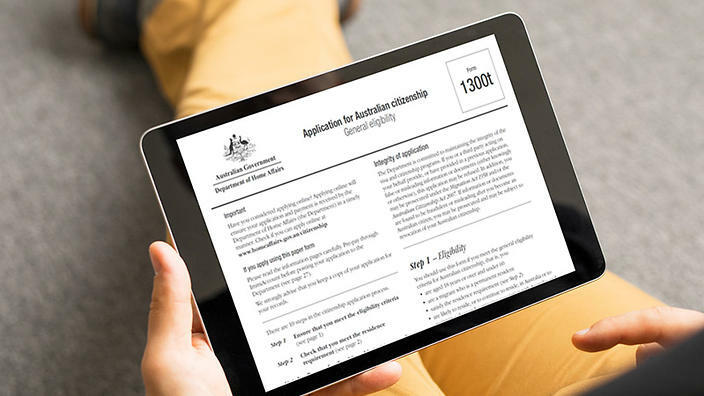 You can claim your objection at the Administrative Appeals Tribunal or ether Go for visa rejected reapply so that you can apply again for the application form. If in case, you did not find a valid reason for rejection, you can go for the reapply for the application form by involving the immigration minister. Ask for the review from the immigration minister and the authority over there will help you in finding the best possible solution for our case. FOR THE SAFER MODE OF THE PROCESS GO FOR MIGRATION AGENT PERTH!!! You have to consult the Migration Agent Perth for a smoother process of the application process. They will consult and advise you in every possible manner and will provide you a safe path so that your application will not get refused. Visa Agent Perth helps you in getting a safer visa process and this will help you in saving your valuable time. If you don’t go for a consultant then there will be surely the possibility of refusal and you are going to lose your high-quality time.